Aside from being a world-renowned financial and business hub, the UK is home to some of the world’s leading universities. The 2019 QS World University Rankings, for instance, recently revealed that five of the world’s top 20 universities are based in the UK. What’s more, when considering the courses on offer, UK universities took first place in 13 out of the 48 subject rankings. These figures go to show just why more and more people are pursuing higher qualifications in the UK. And with student numbers growing, there have been increases in the amount of investment being made into infrastructure, accommodation and facilities in university cities and towns across the country. This is creating new opportunities for investors, particularly when we consider the potential returns on offer from student accommodation as an asset class. The reason why student accommodation is becoming a prominent investment opportunity boils down to the yearly influx of domestic and foreign students arriving in university cities and towns, and their inevitably need for housing. Between 1999/2000 and 2016/2017, the number of domestic students studying outside their home region rose by 61%. What’s more, it is being projected by the Office for Students that there will be a 10% growth in student numbers over the next four years. Investor demand for this type of property is rife – a recent survey of more than 500 UK property investors by Experience Invest revealed that almost one in four (24%) are considering investing in student property in 2019. Yet for those unfamiliar with the student accommodation market, it is important to bear a couple of key factors in mind. One trend to note is the overwhelming demand for PBSA, or Purpose-Built Student Accommodation. In essence, PBSA is an upgraded version of first-year student halls, designed to meet the changing demands of today’s students. They can range from smaller studios, to cluster apartments that house larger groups. As it stands, the Purpose Built Student Accommodation (PBSA) market is believed to be worth around £46 billion, with approximately £5 billion of new developments being completed each year. And demand is strong – in fact, across the UK as a whole, full-time student numbers currently outnumber bed spaces by 3:1. To meet this demand, the provision of PBSA is also on the rise – some 11,000 purpose-build student bedrooms are due to be delivered in the 2019 and 2020 academic years (although this may rise as new developments are approved). The nature of the market is evidently competitive, but where are the key hotspots that investors should be looking to? Mature markets – or, strategic cities containing dual or multiple well-regarded universities, and large numbers of students, are a good place to start. A prime example here is Liverpool. Home to The University of Liverpool and Liverpool Hope University, among others, this city has become a magnet for higher education students. Here, investors can find opportunities like Aura Student Liverpool, which serves to cater to the growing – and changing – needs of the city’s bustling student population. How will Brexit impact the student accommodation market? With Brexit approaching, investors are naturally considering how their assets will be affected by the UK’s withdrawal from the EU. Given that the performance of the student accommodation market will ultimately be determined by student numbers, we have to consider whether Brexit will taint the UK’s reputation as a leader in higher education. In the immediate term, the reputation and quality of UK education continues to see British universities dominate global rankings. This comes despite the political deadlock over Brexit. In fact, a year on from the June 2016 vote, the Times Higher Education (THE) rankings revealed that UK universities had taken the top two places in global tables for the first time in 13 years. Meanwhile, the Teaching Excellence Framework (TEF) rankings saw just under a third of the Russell Group Institutions score gold after being judged across a wide criteria that included student experience, teaching quality and research. Naturally, however, some may have apprehensions about what Brexit will mean for students from EU countries. Looking at the figures, EU students make up less than a third (140,000) of the 460,000 international students enrolled at UK universities. Moreover, with visa schemes available for non-EEA students relocating to the UK, there is little reason to believe that similar schemes won’t be adopted to support EU students post-Brexit. If one thing is clear, it is that demand for quality student accommodation remains high. What’s more, the immediate challenges posed by Brexit (in whatever form that may take) are unlikely to damage the UK’s established reputation as a leader in higher education. As domestic and foreign students continue to relocate to study at UK universities, there will remain ongoing demand for student accommodation like PBSA. 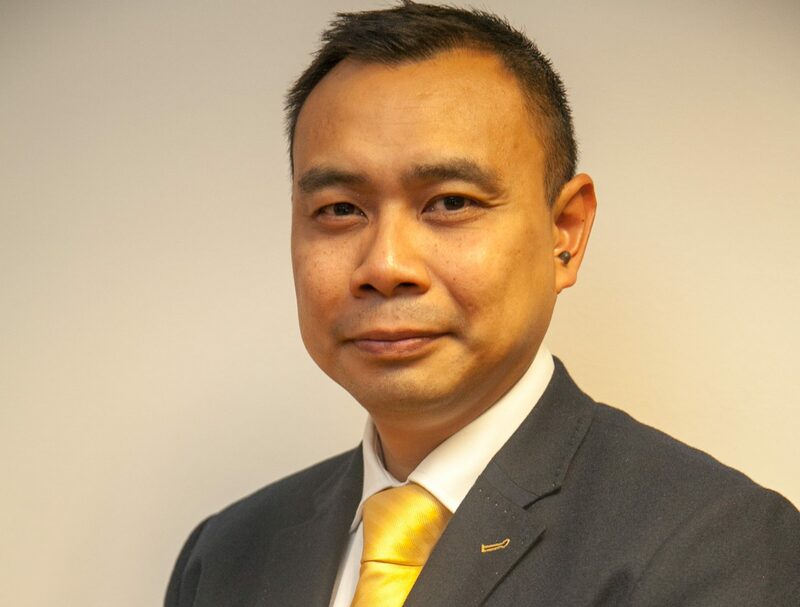 Jerald Solis is the Business Development and Acquisitions Director at Experience Invest, a company that provides property investors in the UK and overseas access to exclusive investments across a variety of asset classes. He is also a Director at Opto Property Group; a construction firm committed to creating developments that have a long-term, positive impact.